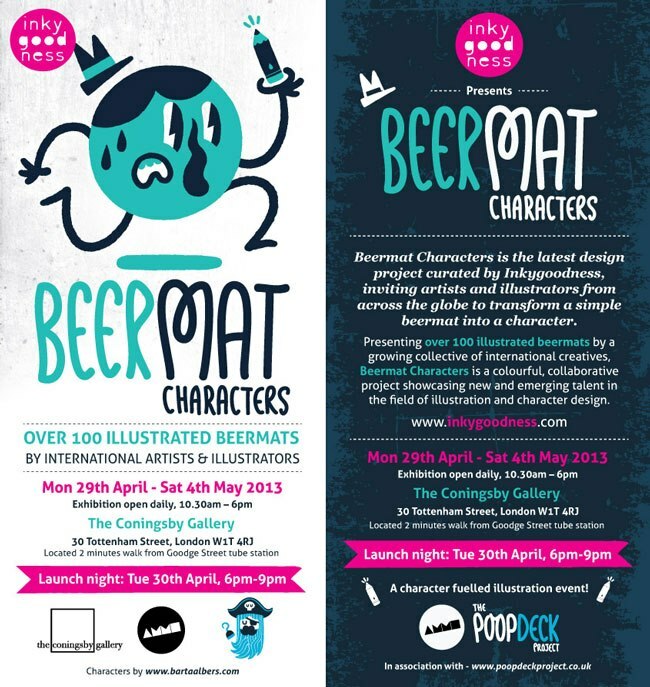 Beermat Characters is the latest design project by Inkygoodness. Leading the way with their eclectic mix of illustration & character design, their unique collaborative projects showcase the talents of a growing number of international artists & illustrators. Inspired by the theme of ‘Beermat Characters’, their latest project showcases the talents of over 80 artists & illustrators tasked with the challenge to transform a simple beermat into a character – with surprising and delightful results!